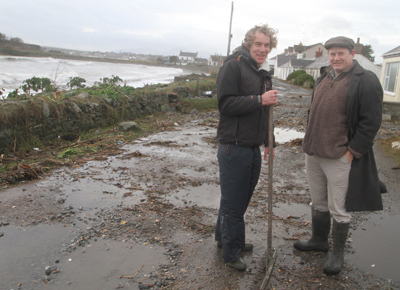 DOWN District Councillor Cadogan Enright has expressed his “bewilderment” over the issue of residents in Coney Island not receiving support from government agencies and Down District Council because their road is deemed to be ‘private’. A heavy stone wall was breached by the recent tidal surge at Coney Island and residents are concerned what lies ahead with future storms. 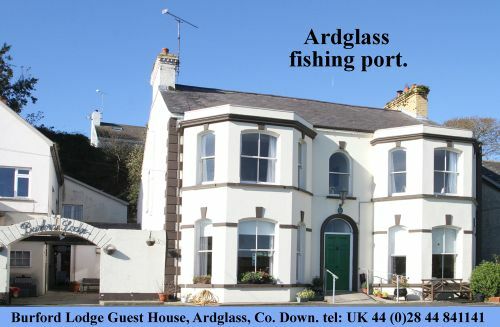 Following the recent exceptional bad weather and the tidal surge that caused havoc along the East Down coast, Coney Islanders were threatened with potential flooding as the sea battered the shore front of the quiet community just south of Ardglass. Waves were also throwing much stones and debris towards the front of the houses. The sea was breaching the old sea wall which was damaged at two sections. A DRD spokesperson said: “In order for a private road to be considered for adoption into the public road network it would have to be brought up to the proper standards, both in terms of geometrical layout and construction detail. Coney Islander Kevin Lappin clears up after the tidal flood at Coney Island and chats to Down Councillor Cadogan Enright. Councillor Enright, however, rejected this saying that in an emergency everyone should be treated equally. He said: “During the recent storms I discovered that Coney Island village was being excluded from emergency flood protection as the Roads Service did not regard Coney Island Road as one of their roads. Down District Council has followed the Roads Service rules in deciding who it would support. There are approximately 40 homes in Coney Island all pay rates. It is understood that Down District Council is considering the issue at a senior level but is reluctant to break with Northern Ireland-wide agreed, emergency protocols. 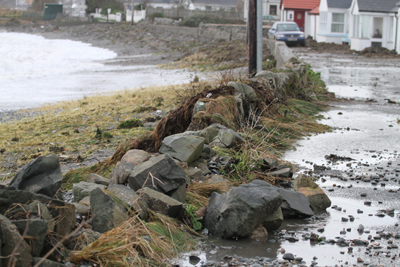 A spokesperson indicated that the Council has supported the residents in Coney Island by providing a number of sandbags.